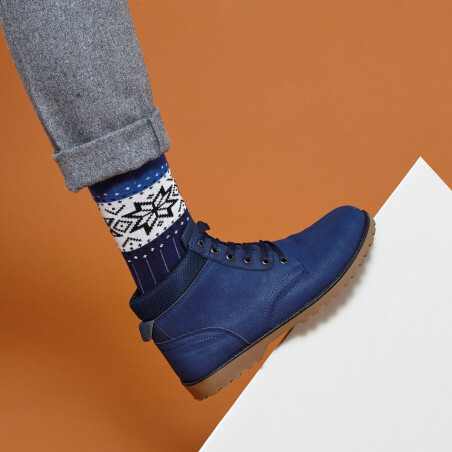 The Snow design for extreme comfort and a winter at the height of style, with wool for warmth, from the stylish and distinctive NorvÃ¨ge collection, a very on-trend, hipster-style sock from the Achile range. 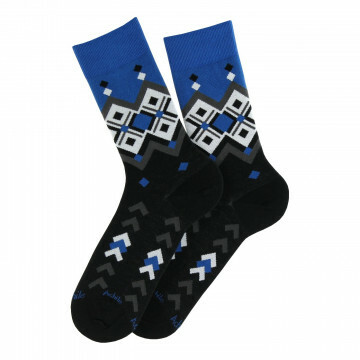 Original wool and cotton socks, sizes 39-42 or 43-46, made in France. You'll love them for the warmth of their woollen yarn and the softness of the cotton. !